Customer-led transformation isn’t about ditching the physical in favour of digital, but instead using both to connect with the analogue hearts and digital minds of your customers. 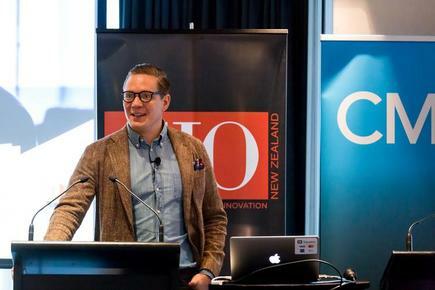 That’s the view of digital futurist and innovation strategist, Anders Sorman-Nilsson, who spoke at the recent CIO-CMO Exchange event in Auckland about the need for more seamless customer experiences in a world where every industry and brand is being digitally hacked. Sorman-Nilsson is the founder of strategy thinktank, Thinque, working with clients such as Apple, Johnson & Johnson, Cisco and IBM on digital disruption and its implications on business models and leadership. He has penned several books on the subject, including Dialogue: How to win the digital hearts and analogue minds of tomorrow’s customer, as well as Seamless: A Hero’s Journey of Digital Disruption, Adaptation and Human Transformation. “Many futurists are swiping left on human intelligence and wiping right on AI. But I’m also a bit of a traditionalist. 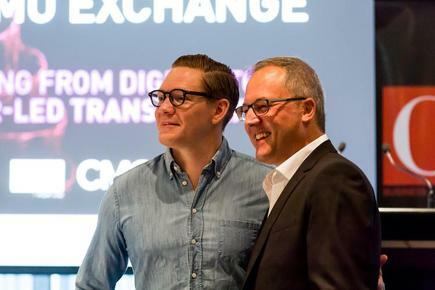 The digital world, potentially from a CX perspective, if just made pure-play digital, could also be digitally de-humanising,” he told attendees. “There is a role for traditional and technology in the future and as we design our transformation around the customer. Sorman-Nilsson noted analogue and digital worlds connect to different parts of us. “One of these worlds is about winning trusted loyalty through emotional connection, and the other is connecting in real time with the rational minds of your customers,” he said. There’s no doubt every business model is getting digitally hacked, literally or metaphorically. To cope, Sorman-Nilsson advised thinking of your organisation as a technology company with a licence in your area of speciality. At the same time, IoT is bringing with it the ability to augment humanity through digital connectivity, Sorman-Nilsson continued. “I think we can code for humanity, empathy and for better human outcomes,” he said. As an illustration of how this could be done, Sorman-Nilsson pointed to autonomous vehicles, which are expected to save up to 1.1 million lives per year. Digital connectivity is also helping people act in more empathetic ways while removing friction points, Sorman-Nilsson said. In Sweden for instance, microvendors on the streets selling the country’s version of The Big Issue to help the homeless, teamed up with a mobile POS provider that takes NFC and biometric payments as well as credit cards. The partnership saw sales rise 59 per cent within a few months. 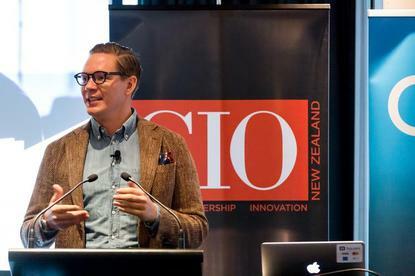 “Ask yourself the question: When it comes to connecting with the positive intent of your customers and future customers of doing business with you, are you consciously or unconsciously putting up friction between the positive intent, and the digital, seamless executive of that intent?” Sorman-Nilsson asked the audience. As physical infrastructure becomes part of a connect ecosystem, a new ‘trialogue’ is emerging, Sorman-Nilsson explained. And with computing power and machines expected to surpass the brain power of a human by 2045, we’re just at the knee of the exponential curve of things moving very quickly. “What you should be thinking about is if you solve your customer’s issues predictively and preventative, maybe that’s more humane than anything we could deliver through a human,” he argued. An example of this in practice is Lemonade, an insuretech company that came up with the idea of a consumer speaking their insurance claim through to their mobile device. Using biometric authentication on an individual’s face and running 21 algorithms for fraud protection, the company can assess and process a claim to payment in 3 seconds. What we’re also heading into is what Sorman-Nilsson described as a ‘transformation economy’, where digitally-enabling brands can positively impact consumer behaviours. He pointed to Nike’s investments into apps such as its Marathon Training Plan and Nike+ Run Club, both of which build stronger customer loyalty while also nudging consumers into more transformative, individualised experiences. The focus for all brands should be empathetic, omni-channel, effortless, contextual, personal, relevant, simple experiences, Sorman-Nilsson concluded. “Start thinking about how you can get 2X the result with half the effort – either though new technology or human creativity,” he advised. 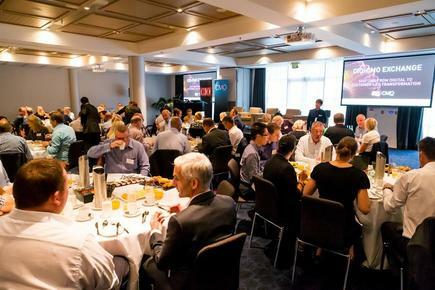 SAP is the case study sponsor and SilverStripe is the table sponsor @the 2018 CIO-CMO Exchange in Auckland.